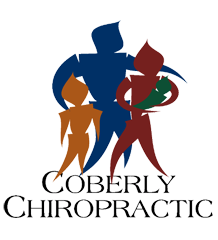 Relieve Back Pain After Auto Collision – Coberly Chiropractic, Inc.
A motor vehicle crash can be the source of limitless pain, suffering, and inconvenience. Some effects are short-term, but unfortunately for accident victims, other problems can last months or years after the collision. For people who develop chronic pain from an auto injury, the wish to turn back the clock may be especially desirable. Many patients are desperate for pain relief, disability avoidance, and a return to normal function. One such group, those suffering chronic low-back pain after a motor vehicle collision, were the subjects of a recent study. Researchers tested the effectiveness of using foot orthotics to relieve chronic low-back pain associated with auto injuries. The controlled study included 66 participants who had been injured in an auto collision and who complained of low-back pain for at least three months. Half of the patients were treated with exercise therapy and a prescription for pain medications. The other half were also treated with exercise and drugs as needed, but researchers added customized foot orthotics to this group’s treatment. Researchers sought the level of disability from back pain at baseline as well as at the follow-up eight weeks later. They also recorded the level of pain medication use among all the patients both initially and at their follow-up. The test group and control group were well matched in the areas of age, gender distribution, duration of low-back pain, and baseline disability scores. Eight weeks later, both groups had experienced an improvement in their back pain. However, the group that used custom foot orthotics had a lower disability score than the group who only received exercise and medications. The orthotics also resulted in less need for pain medication in the test group than the control group, after eight weeks of using the devices. Further research is needed to find the long-term effects of using orthotics to improve back-pain outcome. It would also be interesting to see research using chiropractic modalities as “usual care,” in addition to or in place of exercise therapy and drugs. In former studies, chiropractic has been found to be more effective than medication in relieving low-back pain with more natural and long-term results. Ferrari R. Effects of customized foot orthotics on reported disability and analgesic use in patients with chronic low back pain associated with motor vehicle collisions. Journal of Chiropractic Medicine 2013; 12(1): 15019. doi: 10.1016/j.jcm.2013.02.001.